The tobaccos used to create the Macanudo Cabinet Collection cigars are exposed to a perfect balance of sunshine and rainfall, causing Macanudo's exclusive Connecticut Shade seeds to yield limited quantities of extraordinary wrapper leaves that exceed the high standards for other Macanudo cigars. After the leaves have been cured and aged, only a few bales of them are finally deemed to be worthy for the Macanudo Cabinet Collection. The resulting cigars are creamy and sweet with a natural richness thats unmatched in any other Macanudo cigar. 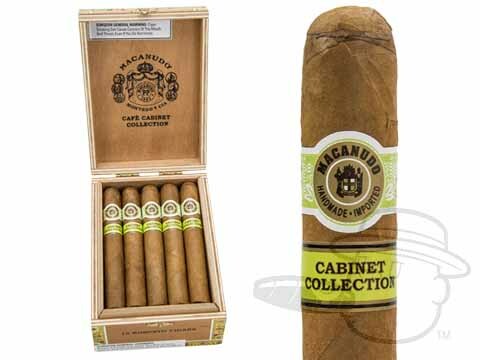 Macanudo Cabinet Collection Robusto is rated 4.2 out of 5 based on 1 customer ratings.